BiteUnite's San Francisco location follows its inaugural opening in Hong Kong. Patta Arkaresvimun has spun her career as a creative director studying trends into a business that understands and anticipates what food startups need to get off the ground and thrive. 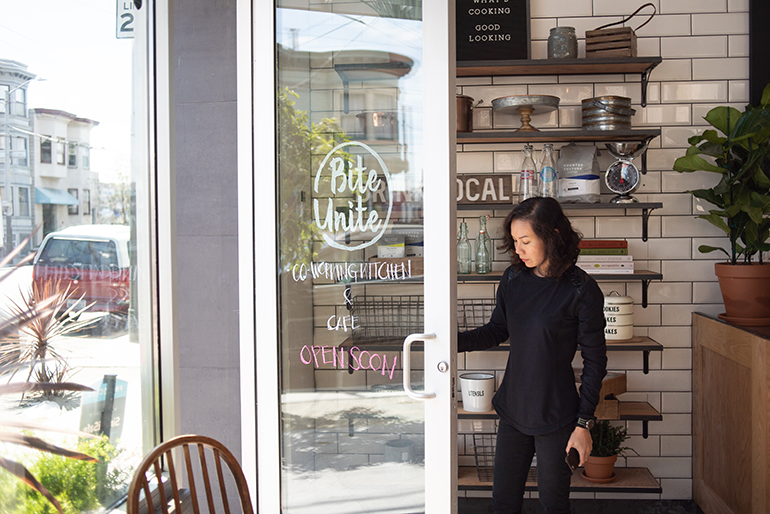 That business became a café, co-working kitchen and online platform she dubbed BiteUnite. Arkaresvimun, who is originally from Thailand, opened the first BiteUnite in Hong Kong in 2016. In October, she brought the concept to the U.S. for the first time, opening in San Francisco’s Mission District. At this second outpost of BiteUnite, Arkaresvimun welcomes chefs looking to create pop-up restaurants — BiteUnite even has a liquor license — as well as entrepreneurs looking to rent kitchen space to test or grow a food business. Chefs have a three-month residency minimum. Patta Arkaresvimun welcomes pop-up-restaurant chefs and food entrepreneurs to make use of BiteUnite's collaborative concept. Arkaresvimun hopes that BiteUnite’s services and its supportive community can help chefs and entrepreneurs handle all the hurdles they’ll face along the way to success. As Arkaresvimun sees it, young people with full-time jobs who dream of opening their own restaurant or food business are scared to make the leap. 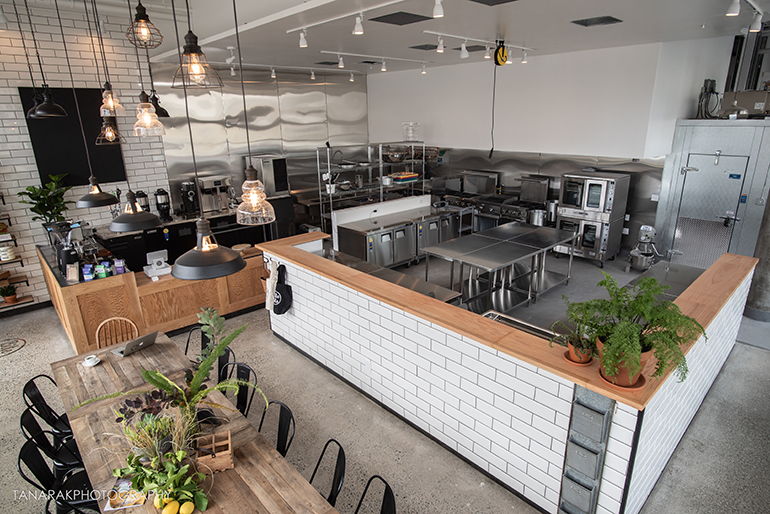 An open co-working kitchen allows customers and chefs to interact. Through Arkaresvimun’s previous positions forecasting trends, she frequently studied Millennials. And she uses that work to understand what the young members of BiteUnite need and want in order to start their own restaurants or food businesses. With this in mind, Arkaresvimun created an open co-working kitchen at BiteUnite where customers and chefs can interact, a rarity for commercial-kitchen setups. The café is another way chefs and entrepreneurs can connect to and gain critical feedback from customers. That critical feedback requires customers, though, but BiteUnite helps with this, too. Arkaresvimun takes care of social media promotion, and with the online platform, which is available in Hong Kong and will soon be available in San Francisco, customers can buy goods, sign up for pop-up dinners or even cooking classes. The online platform will also allow chefs to sign up for kitchen time. Another issue Arkaresvimun sees with most commercial kitchens are their fixed schedules — not conducive to an entrepreneur working a food business on the side of a full-time job or taking last-minute orders, she said. 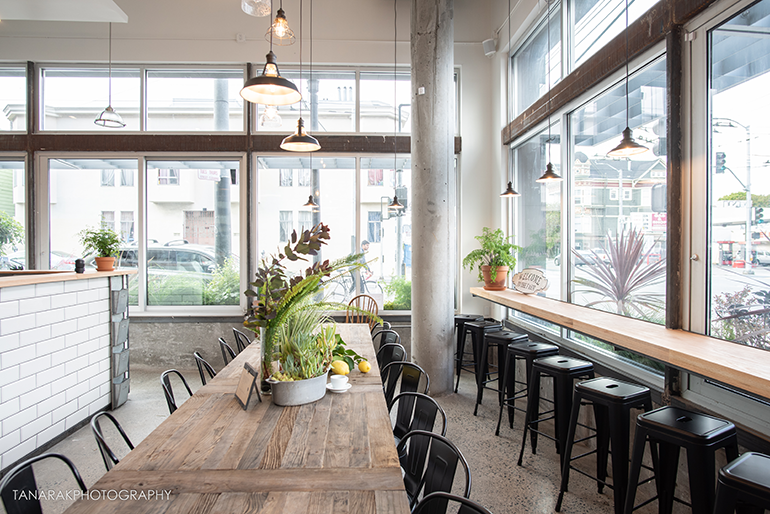 The new BiteUnite opened this month in San Francisco's San Francisco’s Mission District. In October, the space opened with two local chefs. Luis Villavelazquez is a pastry chef looking to expand his own baking company, Les Elements. Patrick Wong fits squarely into the side-hustling-food-entrepreneur segment to which BiteUnite caters. Wong works in public relations and as a writer. But his budding Asian-influenced milkshake company, Thick, is what he’ll be working on at BiteUnite.